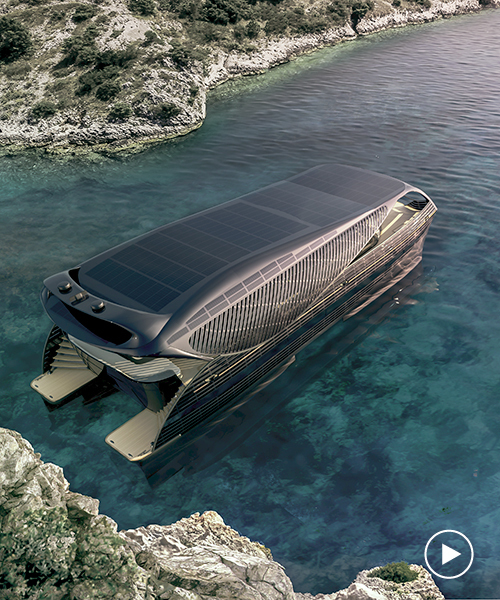 swiss company solar impact has come up with a solar-powered yacht with the ability to cruise the entire globe without needing to stop and refuel. 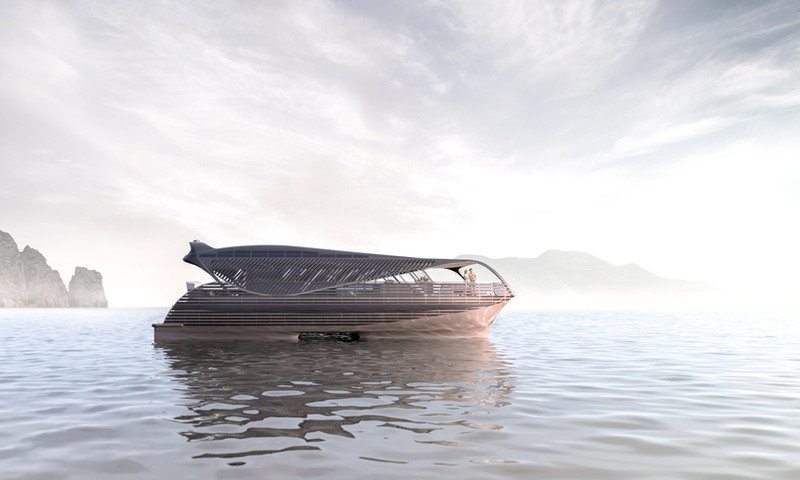 the 78-foot electric boat features a giant solar array, which covers the boats top, generating up to 320 kWh on a sunny day. 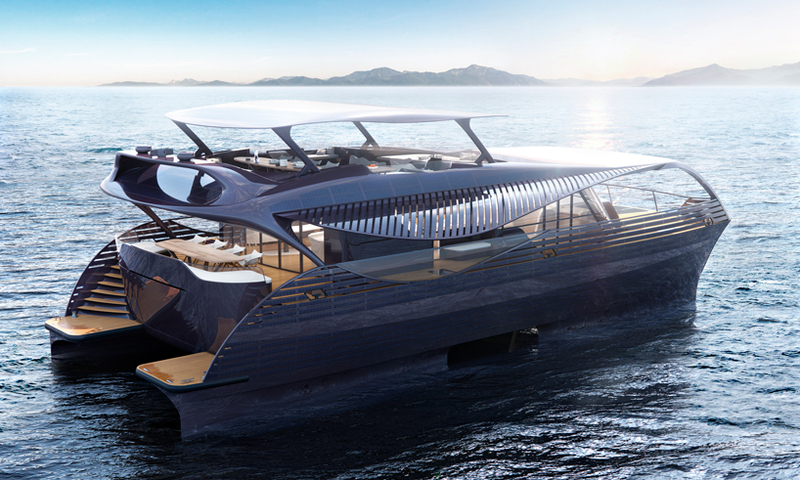 the 70-ton aluminum-hulled solar impact is covered in 300 square meters of solar panels and is powered by an 800kWh battery which gives it 10 hours of cruising capability. if travelling with over speed, this could serve as the vessel’s sole source of power. 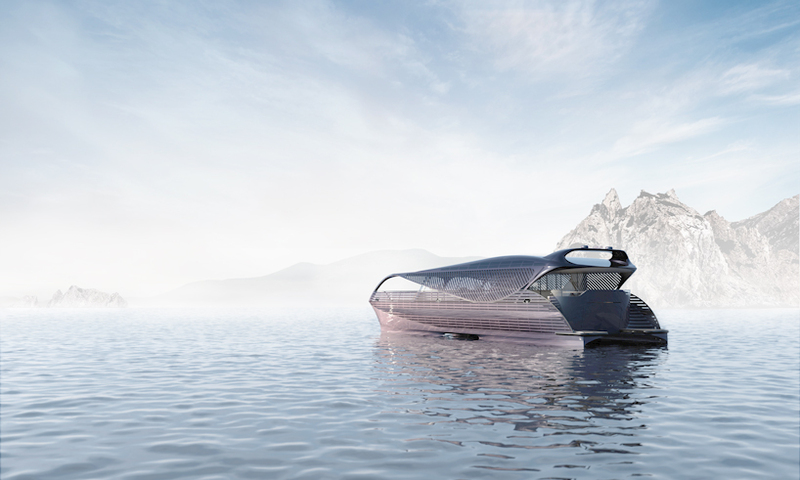 the yacht boasts 1,000 kW (1,341 hp) of all-electric power and has an maximum speed of 22 knots, although a much slower speed of 5 knots would be necessary to take you around the world – if there wasn’t any land in the way. 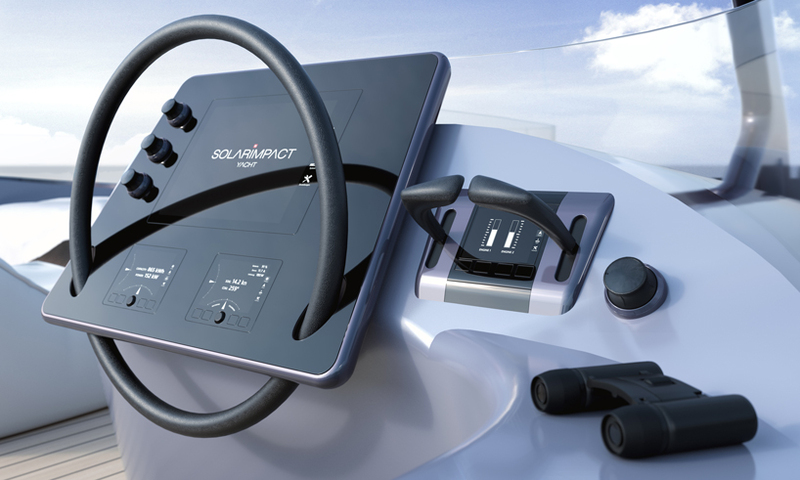 if sailing on a cloudier day, there is a pair of 65-kW (87-hp) range-extending diesel engines on board as a backup. supposedly the whole thing can be manoeuvred by a single person, with the yachts systems optimally controlled by some sort of artificial intelligence (AI). it also boasts stabilizing technology, supported by two torpedo-shaped buoyancy bodies beneath the water surface. this achieves a physical wave decoupling which reduces the rolling and heeling of the yacht by up to 90 percent, making it comfortable even when the waves are high. the concept was unveiled at last week’s cannes yachting festival, where a full 3D model allowed potential buyers the chance to explore the vessel using virtual reality. The idea has been around for a long period of time now, we do the technology for over decades, it’s called: Lumeloid does not use semiconductor principles to generate electricity, but exploits the same techniques radio antennae use to absorb radio waves; except that Lumeloid absorbs nano-scale visible light waves, in a process which in part mimics photosynthesis. The linear light polarizing molecules in the film act as the antennae to absorb the energy of a resolved component of photons incident on the film.